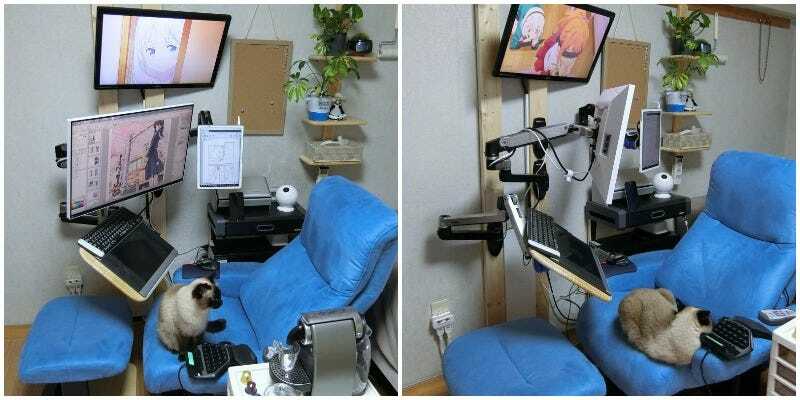 Who needs a desk when you can work from an easy chair? 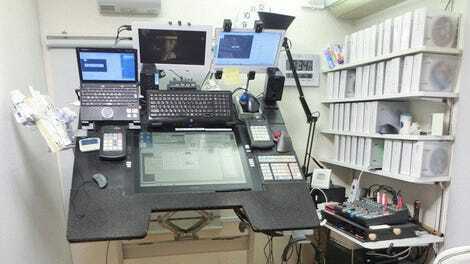 That seems to be the logic behind this manga-artist created workstation. Looks comfy! Not sure how conducive it is to work, but to each his or her own. This isn’t the first time Sato has changed up the work environment. Previously, the artist had workout equipment off to the side!